Robin Ho Smartrade: Nam Cheong - Exceptional huge volume on yesterday (9 Oct) a good indication of impending news! 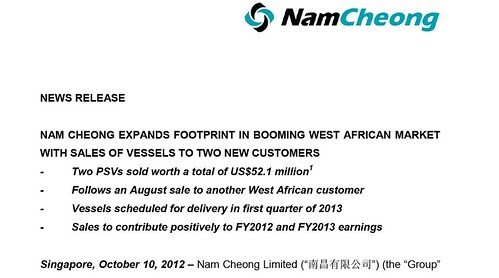 Nam Cheong - Exceptional huge volume on yesterday (9 Oct) a good indication of impending news! Exceptional huge volume on yesterday (9 Oct) a good indication of impending news!